Did You Have Heating Trouble this Winter? Upgrade Now! Temperatures are slowly but surely heating up as we reach the tail end of winter here in Birmingham, but think back to the coldest part of winter—did you have any trouble with your heater? “Trouble” can be classified as a lot of things when it comes to heating your home, so really take a moment to think. Did you feel like the performance of your heater was lackluster? Or maybe the run times were off. No matter what the problem was, now is the time to fix any issue that you’re having with your heating system. 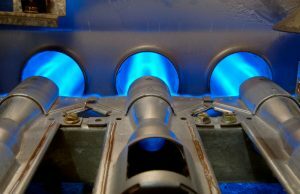 If you’re looking for heating system repairs in Birmingham, AL you can trust our team. We only hire professional technicians with an ample amount of experience in their field so that they can provide you with the best service around. Technology hasn’t evolved to the point where your heating system can verbally warn you that you’re on the brink of an impending upgrade. That’s where our expertise comes in. We’ve gathered a list below of the top warning signs that you’d be better off leaving your old system in the wayside and investing in a new one for your home. Unfortunately, your heater is only made to last for a finite amount of time. If you try to stretch the lifespan of your heater past a reasonable point then you’ll suffer from inefficient operation. If your heater is at the age of 15 or anywhere close to it, it’s time for you to consider upgrading your system. You should consider upgrading around this time even if there’s nothing overtly wrong with your heating system—it will give out soon. Are you having trouble getting warm in your home? We see that a lot of people sweep this under the rug because they think that the temperatures are so cold outside that their heater couldn’t possibly keep up, right? Wrong. Especially considering the fact that our winters here in Birmingham are cold to us, but relatively mild when all things are considered. Your heater has one job—to heat! If this is something that you’re having trouble doing then make sure you call our team. Does the entirety of winter feel like cold and flu season to you? This means that you have a real issue with your indoor air quality. A variety of factors can negatively affect your indoor air quality. One of the best ways to keep it high is by maintaining the heating system in your home. If you had any heating trouble throughout this past winter then it’s time for you to upgrade your system. Contact our team at Sullivan Service Co. today to schedule an appointment today.